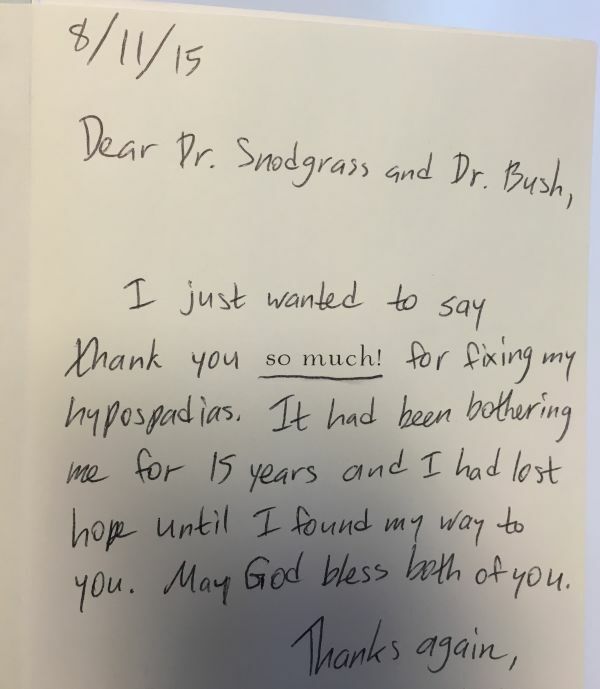 Dr. Snodgrass, my husband and I want to express our gratitude to You, for all the work You have done in the treatment of our son's hypospadias. We were fortunate to get the best doctor in the world! All the way from Russia to Dallas, the day of operation and postoperative period, were for us nothing, but a fairy tale! We could not imagine that everything would pass so easy and our child would recover so quickly and without experiencing any stress. In Russia, unfortunately, the operation and the postoperative period are rather difficult for both, parents and children. My husband and I admire You so much, so the attitude of the clinic and the staff. I will surely write a detailed article about our operation and publish it on all the blogs on this issue, so I could let other moms and dads know that there is a wonderful doctor in the world who operates hypospadias without any problems. I wish you long life and success in everything! Dear Dr. Snodgrass and Dr. Bush, I just wanted to say thank you SO MUCH for fixing my hypospadias. It had been bothering me for 15 years and I had lost hope until I found my way to you. May God bless both of you. Thanks again. Dr. Snodgrass and Dr. Bush are world class urologists. A family member and I have the same birth defect and while these docs are world experts in pediatric urology I am going to self proclaim them world experts in adult urology too. They both have a great bedside manner, the staff is top notch, and everyone they choose to do business with is great. Even schedulers and people reminding me of appointments give me the same confident feeling. I couldn't be happier and I highly recommend them. Good morning Nicol, you have made significant modifications/improvements to the staged repair. I had the opportunity to watch the entire movie. It is pretty awesome. Impeccable technique. These educational (and non edited) videos will definitely help us to improve our hypospadias surgery outcomes. Thanks so much for doing this! We saw Dr. Snodgrass for our son's second hypospadias surgery. We feel blessed that we relocated and came to his office because he is top notch! Dear Professor Snodgrass, Please accept this gift as a token of our appreciation. 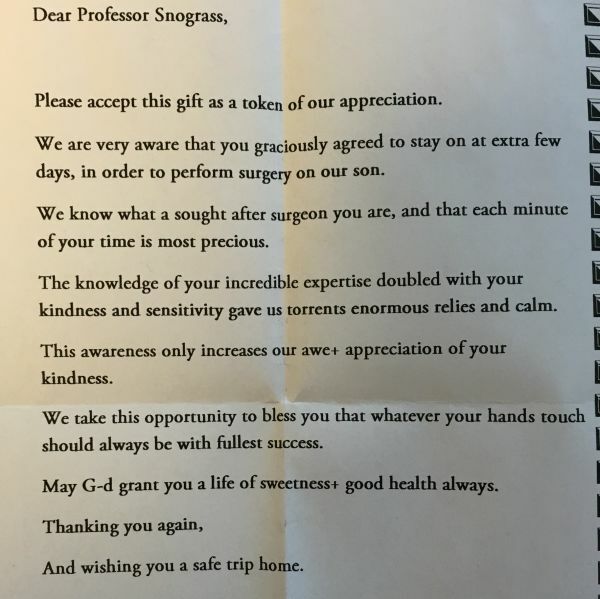 We are very aware that you graciously agreed to stay on an extra few days, in order to perform surgery on our son. We know what a sought after surgeon you are and that each minute of your time is most precious. The knowledge of your incredible expertise doubled with your kindness and sensitivity gave us torrents enormous relief and calm. This awareness only increases our awe + appreciation of your kindness. We take this opportunity to bless you that whatever your hands touch should always be with fullest success. May G_d grant you a life of sweetness + good health always. Thanking you again and wishing you a safe trip home. 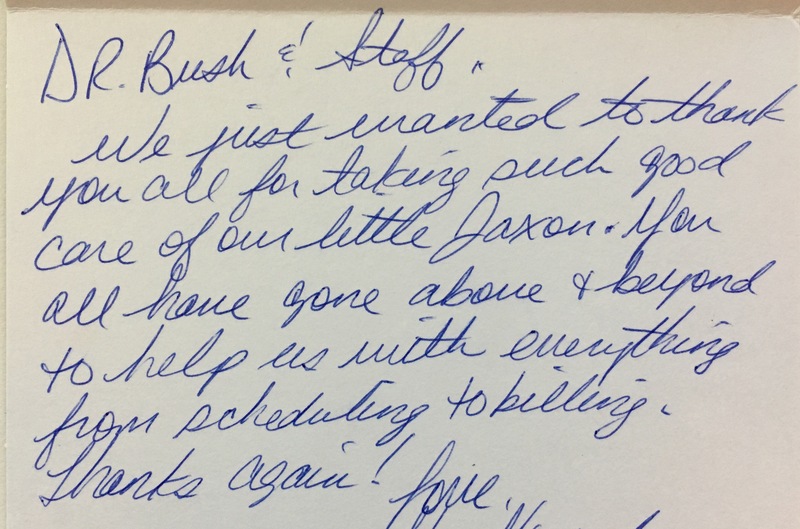 Dr Bush was great with my child. She explained everything thoroughly and made us feel very comfortable. The office was nice and the wall chalkboard kept my children entertained. Dr. Snodgrass has performed 2 surgeries on our son and we could not be happier with the results. Our experience with PARC Urology and Forrest Park Medical Center have been flawless. Everyone we have met have spoken very highly of the skills of these doctors and we could not be more confident in the care our son has received. Dr. Snodgrass and Dr. Bush are both experts in hypospadias. You can't find a pediatric urologist that knows more or can do better than them! I am so pleased and thankful for them! 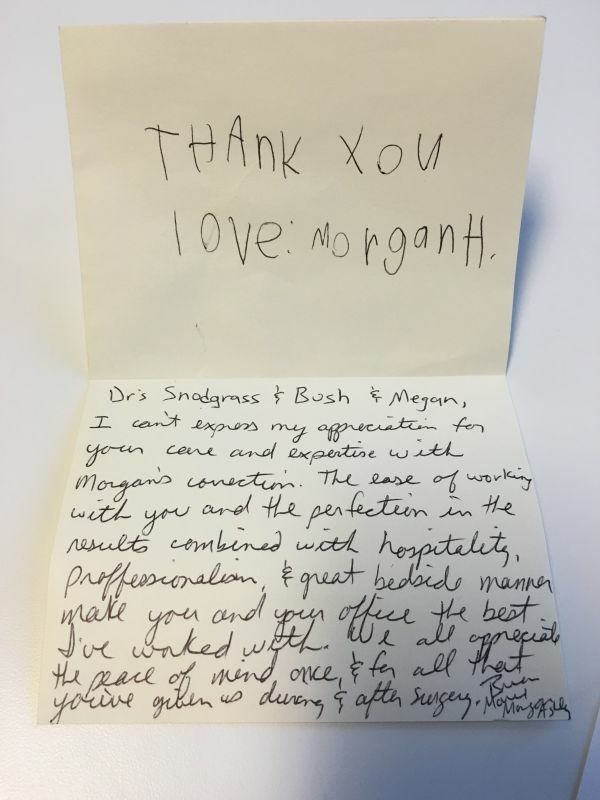 Drs Snodgrass and Bush and Meg, I can't express my appreciation for your care and expertise with Morgan's correction. The ease of working with you and the perfection in the results combined with hospitality, professionalism, & great bedside manner make you and your office the best I've worked with. We all appreciate the peace of mind once and for all that you've given us during & after surgery.